Having just read Daniel Silva’s Portrait of a Spy, my curiosity was piqued when I saw Maniish along Jupiter Street. It brandished that they are serving authentic Syrian and Lebanese food. Excited for some kebabs and a different palette, I decided to have lunch at Maniish. I was all by my lonesome so I can only order so much. The restaurant interiors were a brightly mix of orange and red. It was simple yet comfortable and clean. Reading some of the articles that conveniently hang on one side of its walls, I was glad I picked this place for lunch. I asked the server what their specialties are and she offered me their Maniish which is where the establishment’s name is coined. Maniish is their version of the Italian’s pizza. 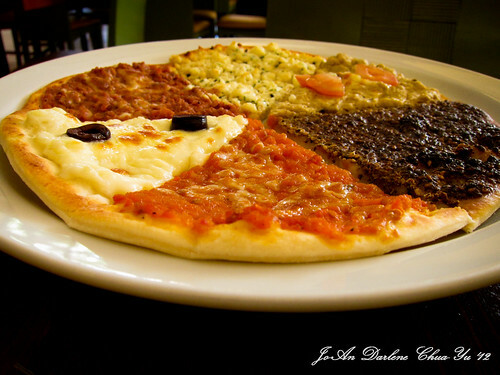 It is made from thin crust pita and topped and seasoned with their ingredients. 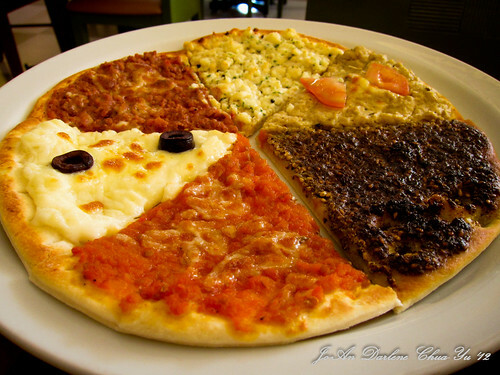 I ordered the magnificent 6 which includes 6 varieties namely Zaatar, Jebneh, Esfiha, Muhammara, Soujuk and Blanche. Since I was all by my lonesome, I only got to try 2 of the 6 varieties. I love the Blanche flavor which is topped with bechamel sauce, mozzarella and black olives on it. Zaatar is a combination of ground thyme, oregano, sesame seeds and olive oil. Jebneh which is the 2nd variety I tried is made with homemade white cheese and chopped parsley. Esfiha is simply seasoned minced beef baked with fresh tomato and cheese. 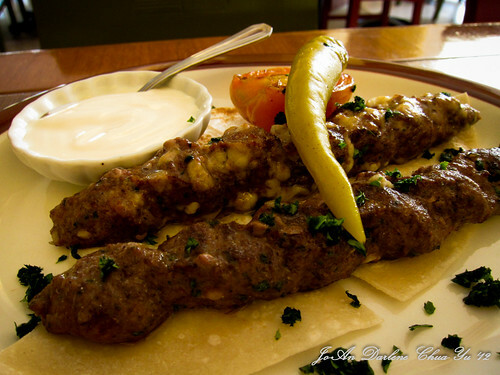 I also ordered their kebabs – Kebab Halabi and Kebab Izmerli. Was thinking of just ordering 1 since I’m alone but the minimum is 2 sticks so I ordered one without cheese (Halabi) and the other with cheese (Izmerli). I love both! The spices didn’t overpower the dish. The lamb and beef combination was delicious. The dish was accompanied with very thin pita wraps. Needless to say, I finished both kebabs! My total bill was PHP550.00. My first time here I have to say these photos made me rlealy, rlealy hungry ! Heck with healthy eating. 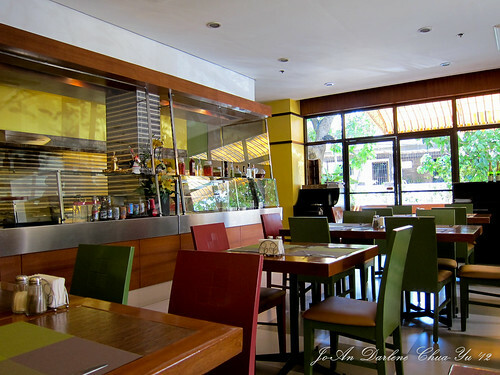 I got to have the crispy balat and sauce now hehe bws last blog post..